Mesothelioma patients from Brooklyn won’t need to travel far from home anymore to receive specialized care for this rare and aggressive cancer. The Brooklyn Mesothelioma Center has opened. Maimonides Medical Center is the top cancer facility in Brooklyn. It has been treating mesothelioma patients for many years, but the arrival of thoracic surgeon Dr. Ory Wiesel has taken its program to another level. In the past, patients in Brooklyn seeking a mesothelioma specialty center traveled to Manhattan. It was a difficult commute away from home. Wiesel brings to Maimonides the experience and expertise from his specialty training at Brigham and Women’s Hospital in Boston. There he worked alongside Dr. Raphael Bueno, director of the International Mesothelioma Program. It is the program originally built by mesothelioma treatment pioneer Dr. David Sugarbaker, who died earlier this year. Wiesel uses a football analogy to describe the program Maimonides is building in Brooklyn. The thoracic surgeon, he believes, is only one member of a team that is needed to win. 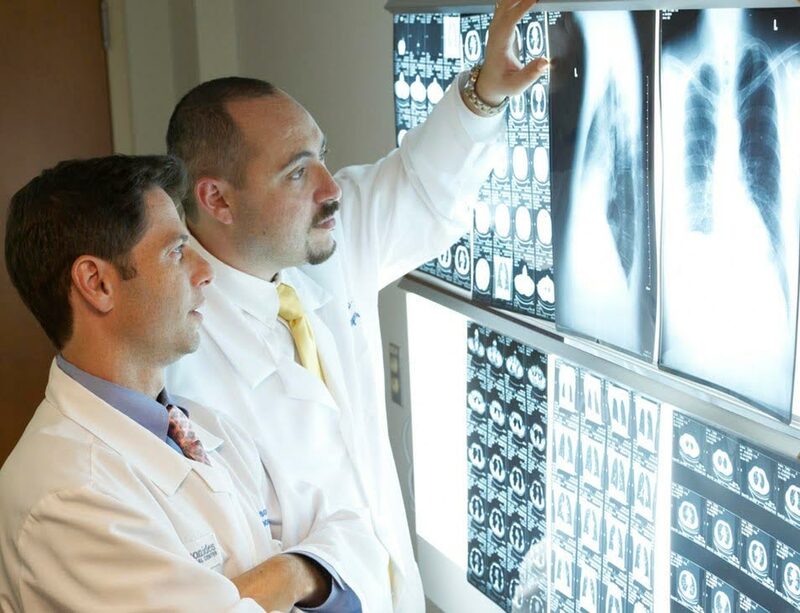 The Brooklyn Mesothelioma Center is led by a thoracic surgery group that includes director of Thoracic Surgery Dr. Jason Shaw, Dr. Igor Brichkov and Wiesel. It also includes the expertise of Medical Oncology division chief Dr. Kevin Becker as well as radiation oncologists, pathologists, nurses and social workers, all working with the same mesothelioma patients. At Brigham and Women’s, patients come from across the country seeking specialty care. Wiesel saw the problems that arose for patients far from home with mesothelioma. Although mesothelioma is very rare, Maimonides treated close to a dozen patients with mesothelioma last year even before the mesothelioma program was announced. Brooklyn’s population is close to three million people. The city has seen a rise in various lung diseases in the 17 years since the 9/11 terrorist attack at the World Trade Center. When the towers collapsed, they created a toxic cloud of pulverized concrete, glass and asbestos fibers that contaminated the area for weeks. The attack exposed hundreds of thousands of people to dangerous carcinogens and future health issues. Given the long latency of mesothelioma, Wiesel is worried about a future surge in cases throughout Brooklyn.